Our Feet: The Foundation of our Home! Math question: 26 + 33 + 107 + 19 = Foot. How can adding numbers result in letters? It’s simple: 26 bones + 33 joints + 107 ligaments + 19 muscles = The Foot. In fact, the foot is a part of the human body that contains among the highest number of structures in a highly restrictive area. Opinion suggests that second only to the brain, the foot is one of the most complex and the most highly specialized parts of the body. Our feet are the foundation of our home and similarly they should be biomechanically balanced, meaning properly aligned. If such is not the case, structures above are inevitably affected. A flattening of the arch often entails serious consequences (medial rotation of knee, hip misalignment, spinal deformation, etc.). Patients unfortunately don’t even necessarily suffer from foot pain – but from knee pain or lower back pain, instead. Gait analysis starts the moment the heel (side under assessment) touches the ground. This first phase is called the heel strike. The heel should naturally set itself down on the ground with a slight outward lean, then swing towards the instep to a maximum of 5 degrees (posterior view). This position is called valgus. This slight rolling motion helps absorb the impact on the ankle and knee joints. If the valgus is too broad – as in most cases of flat feet – no absorption is possible and this leads to pain. The second phase is the longest of all the sequences in a footstep: The one-legged stance. It represents the moment when only one foot touches the ground. The foot should position itself at a maximum amplitude angle of 15 to 25 degrees in relationship to the gait progression line. Beyond and below this angle are signs of biomechanical problems. The ankle and heel should properly align below the leg. Again, if there is a tilting towards the centre (between legs), or away from the line, then there is evidence of a biomechanical problem. It should also be noted that rules are different at a running pace, and for children under the age of three when curvatures might be normal. The knee should align under the pelvis, in line with the hip joint when viewed from behind or from the front. It should not curve inwards or outwards. When flexed, it should align itself with the 2nd toe (the 1st being the big toe). Lastly, the pelvis should slightly swing up and down. Too great a range of motion is an indication of a muscular problem. The third phase is active: It is called propulsion. As its name suggests, it is the moment when the foot contracts to push off, and the other heel strikes the ground. At this moment, the heel which should be quite straight in relation to the leg, rises off the ground, taking the outside of the foot along with it. The toes leave next, one after the other, from the 5th to the 1st. Finally, the big toe ends the push-off, in proper alignment with the foot. If it turns inwards, a hallux valgus (bunion) might develop, along with all the issues that entails. The fourth phase, called oscillation, is next to be observed although foot orthotics are ineffectual at this stage. The foot now remains in suspension until the next heel strike marks the beginning of a new cycle. The foot can be observed folding back against the leg, the knee flexes and rises up towards the hip to free the foot from the ground. Once again, the pelvis slightly swings up and own. Here it’s chiefly the range of motion that is under observation. A pelvis that swings too much or a foot that drags along the ground are both signs of mechanical problems. All these rules are general. Because each person is unique, as are the consequences of their adaptation to their environment, a professional assessment is important. 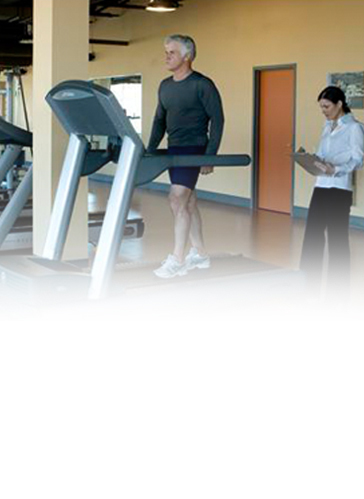 There are solutions to your biomechanical issues – let us have the pleasure of revealing them to you.